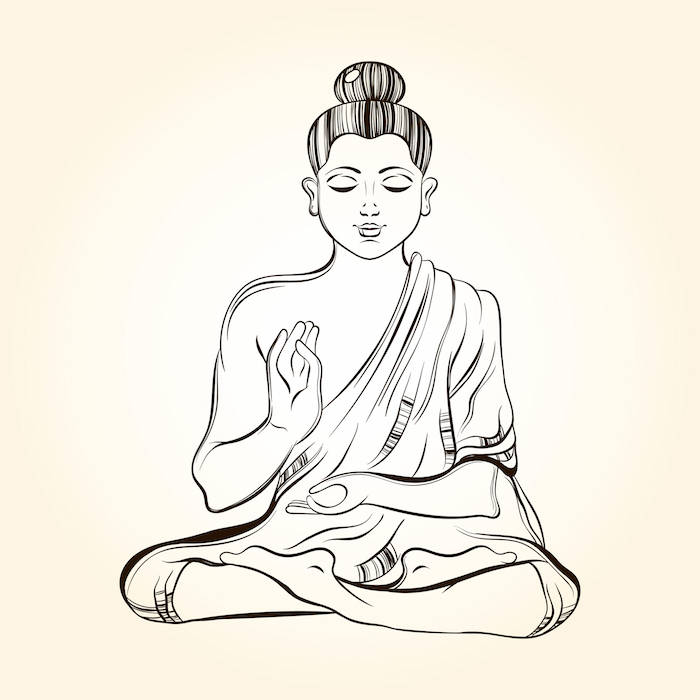 Derived from Sanskrit, the word Buddha translates into, “The Awakened One.” Believed to have reached a state of enlightenment known as “Bodhi,” Buddha taught “Dhamma,” which is the state of righteousness and truth found in every human being and the universe. 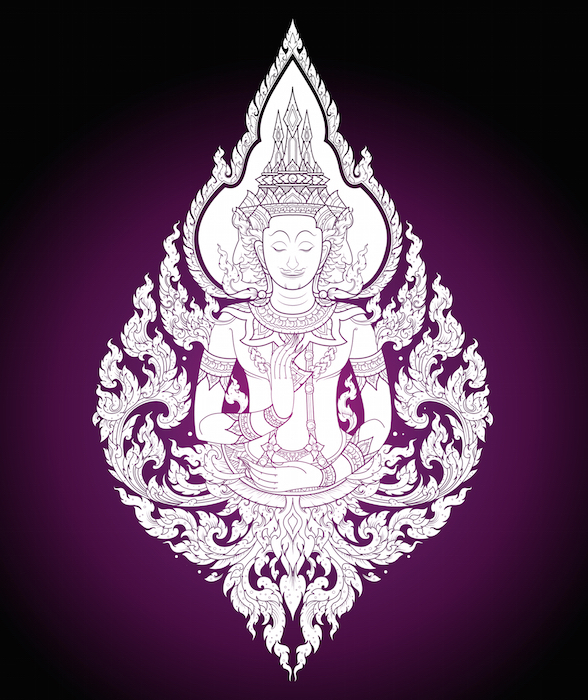 Essentially, a tattoo of Buddha represents these truths, although there are variations that change the meaning as a whole. 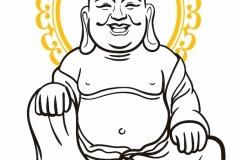 Typically, a Buddha tattoo includes the face of smiling or laughing Buddha, Buddha in meditation or Buddha seated. 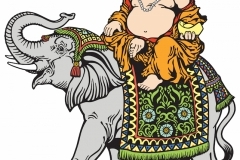 Although not as common in Western culture, Thai, Japanese and Tibetan culture all show many depictions of Buddha walking or standing, each with their own meaning. 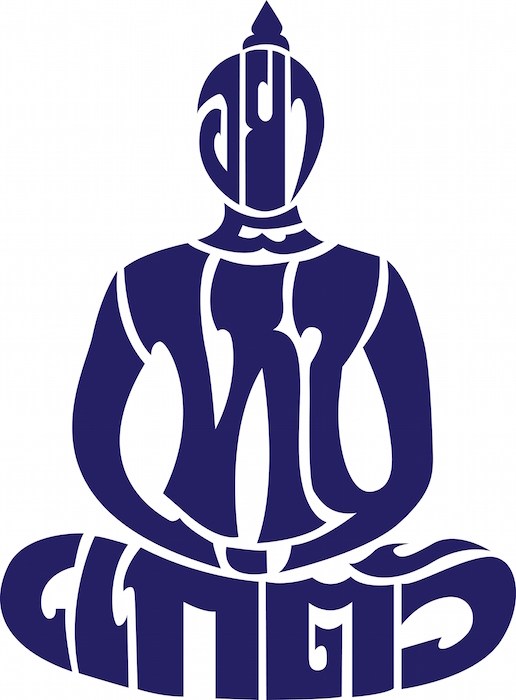 Typically, the legs of seated Buddha are in the Single or Double Lotus Pose, while the hands are in various positions to show Buddha’s purpose or life story. 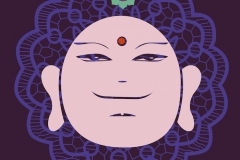 The Medicine Buddha – This particular portrayal of Buddha is very common in Tibetan culture, showing Buddha with blue skin, right hand down and a bowl of herbs held in the left hand. 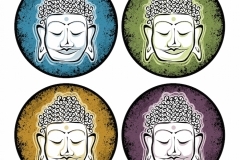 The symbolic meaning of Medicine Buddha relates to “Health and Wellness,” typically those seeking health. 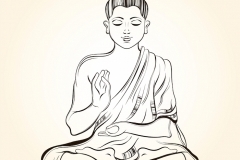 Teaching Buddha – Another popular Buddha tattoo, teaching Buddha shows Buddha with legs crossed, one had depicting an “O” with the fingers and the other hand palm up. This symbolically represents understanding, wisdom and fulfilling individual destiny. 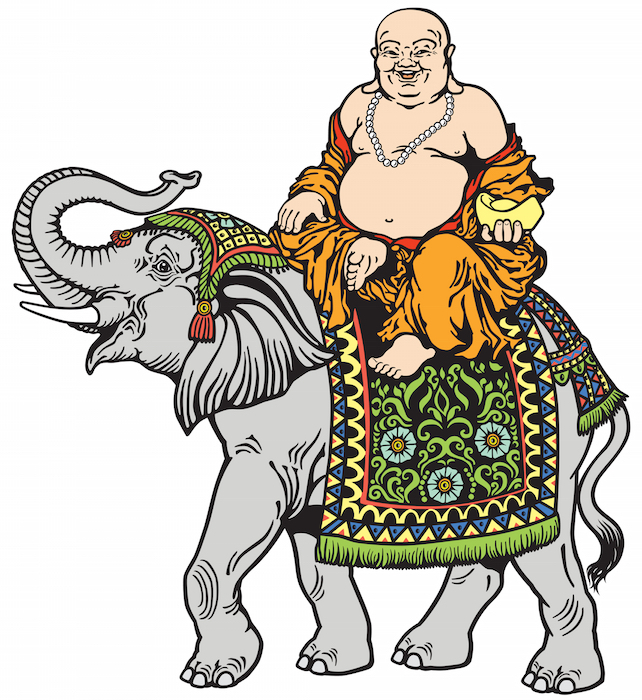 Walking Buddha – While most depictions of Buddha portray Buddha seated, there are actually many poses of Buddha standing that hold significance. 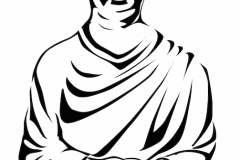 For instance, Walking Buddha shows the right foot behind, one arm by the side and the right hand raised. This tattoo is symbolic of grace and the beauty found within. 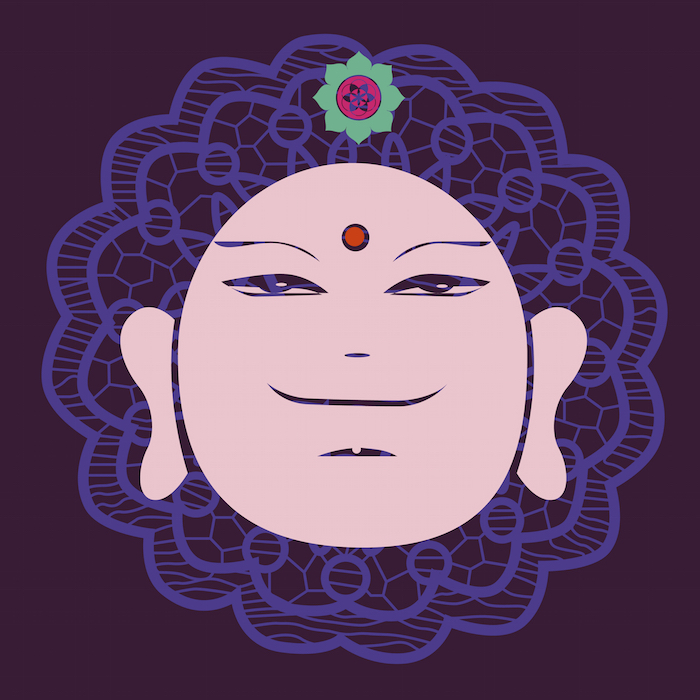 Nirvana Buddha – Another popular representation of Buddha, this pose shows Buddha in the moments before death. This pose shows Buddha lying on the right side, upon a table. Symbolically, this tattoo represents reaching spiritual enlightenment and escaping the cycle of death and rebirth, entering Nirvana. 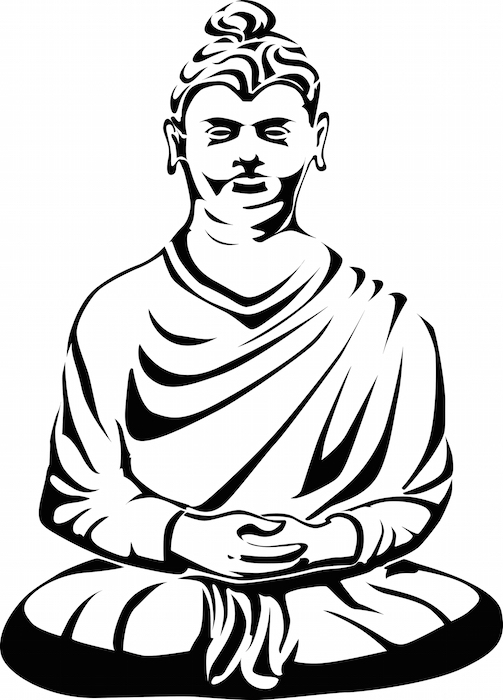 Meditation Buddha – Popular in Japanese culture, as well as others, this likeness of Buddha shows the legs crossed in a seated position, with hands together in the center of the lower abdomen. 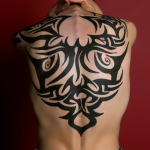 This tattoo symbolically represents the search for peace and serenity in one’s life. 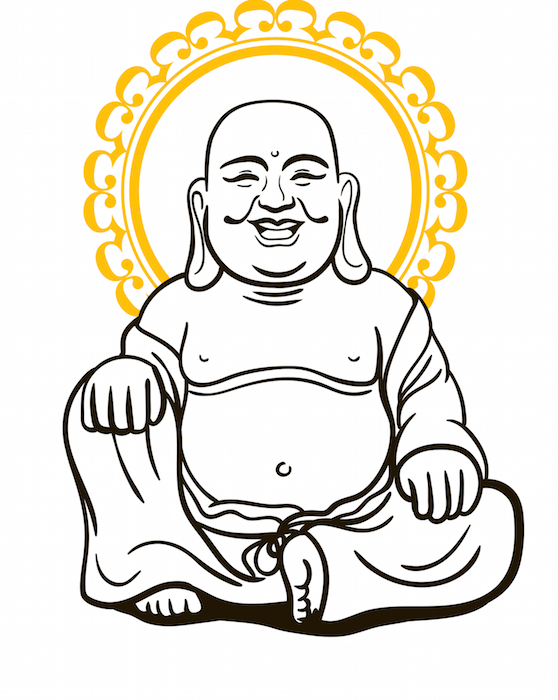 As the fourth most common religion in the world, depictions of Buddha are found in temples and shrines across the globe. Gaining popularity in the West, likenesses of Buddha are becoming more common and found on everything from traditional art to body art. 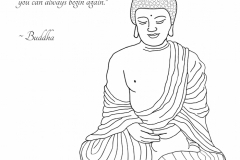 The crux of a tattoo of Buddha is one of truth and hope. 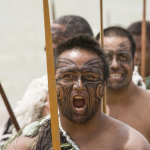 Fears, joys, love, jealously – these conditions simply are, rather than being “good” or “bad.” While all human beings share elements of the same truth, each journey is special and unique. All people have free will to choose their own path, and each person can reach Enlightenment. 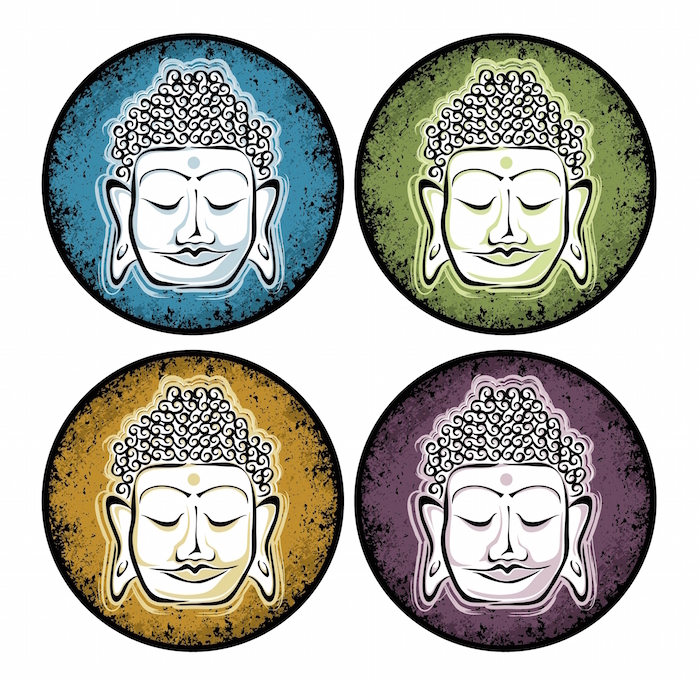 A person who wears a Buddha symbol or has a Buddha tattoo is likely to be searching for ultimate truth in his own life, rather than seeking truth in relation to the rules of men or God. 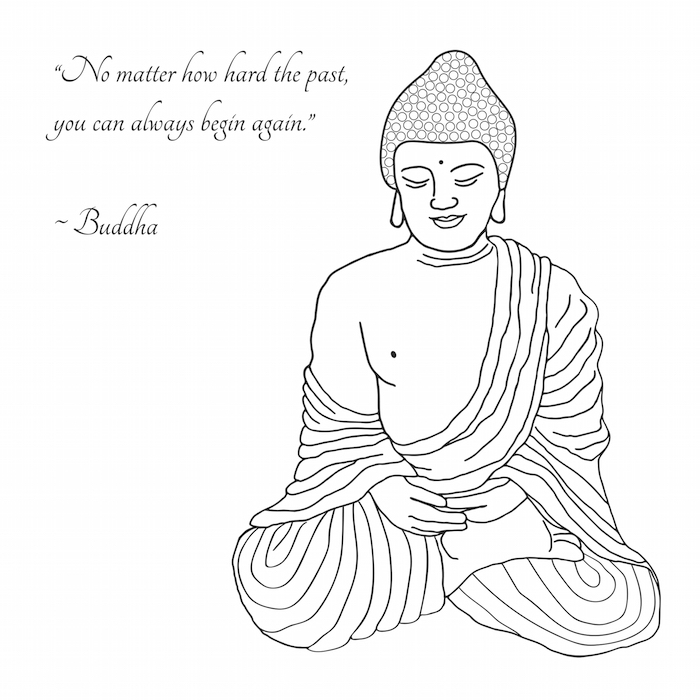 Many people considering a Buddha tattoo have experienced a rebirth of the soul in some form, often through trials or challenges in life. Typically, those with this type of tattoo are kind, open minded and accepting of others, recognizing all life as a beautiful journey. 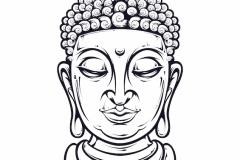 What we like – A tattoo of Buddha is deeply personal and should always reflect the story of one’s own life.The Buddha tattoo offers versatility, meaning no matter what stage of Enlightenment a person might find themselves in or what trials of the spirit a person faces, there is a pose of Buddha to represent it. 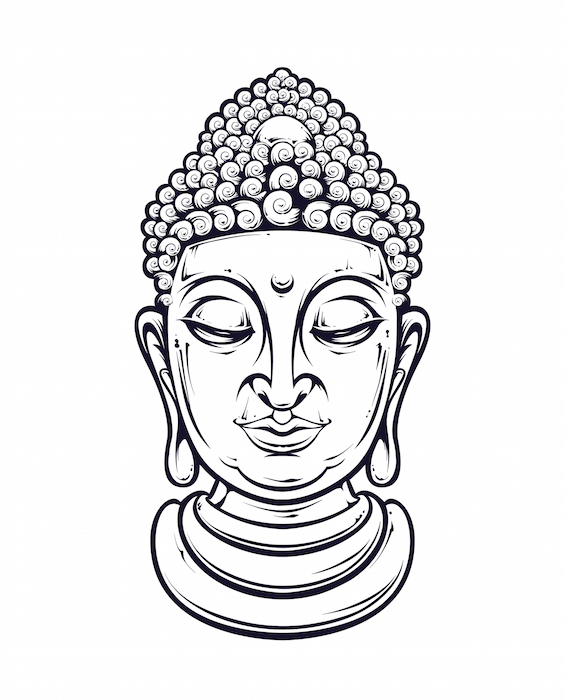 This makes the Buddha tattoo unique and truly meaningful to the individual.